“It is a scam the motorist cannot win,” the judge wrote in invalidating the ordinance. ELMWOOD PLACE, Ohio — In a scathing ruling, a Hamilton County judge ruled that an ordinance allowing this village of 2,000 to install speed cameras is invalid and unenforceable. Critics have said those cameras, which already have generated about $1.5 million in fines, have more to do with revenue enhancement than safety in this Cincinnati suburb nearly surrounded by the city. Thirteen states and the District of Columbia have speed cameras operating in at least one location, according to the Governors Highway Safety Association. Ohio has 13 other jurisdictions that use them, the Insurance Institute for Highway Safety says. A dozen states have laws prohibiting them. The village put the cameras in place in July to slow speeders — not to rake in revenue — officials there have said. About half of the fines go to the village as new revenue. The village hired Maryland-based Optotraffic LLC to install the cameras and bill offenders, allowing the company to keep part of the fine money. When motorists began receiving the $105 speeding tickets in the mail, they exploded in anger. Many have said they now go out of their way to avoid driving here, and many business owners say the cameras and the fallout are hurting business. Many hired lawyer Mike Allen to fight the cameras. 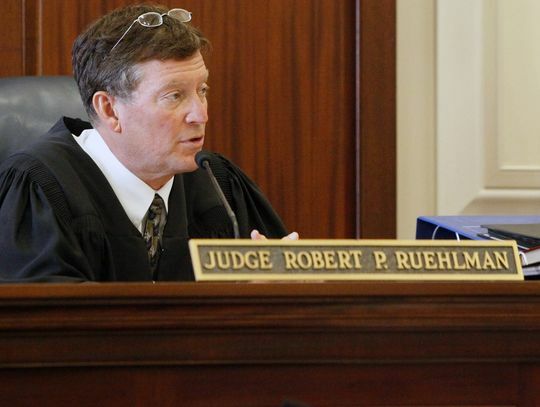 Allen added that Ruehlman’s ruling could be the nation’s first to address the specific constitutional challenge — whether a driver’s due-process rights were violated. “I think the preliminary injunction is pretty much the whole case,” Allen said. Village Solicitor Anita Vizedom couldn’t be reached for comment. The judge was particularly biting in writing his decision, blasting the village for taking from its residents instead of providing services to those who pay for them. “The entire case against the motorist is stacked because the speed monitoring device is calibrated and controlled by Optotraffic,” the judge wrote. If motorists receiving tickets wanted to contest them, they had to request an administrative hearing that came with a $25 fee. “The hearing is nothing more than a sham,” the judge wrote. While Ohio law allows such cameras, Allen argued successfully that the village didn’t display the proper signage that must accompany them. Allen expects Elmwood Place to appeal the judge’s ruling. BEIJING — The call came late on Monday night. His voice shook and he soon hung up, fearing that authorities would trace the call to the public telephone on the capital’s ragged outskirts. NBC News has been unable to reach him since. The police stand out because all were once part of the justice system they seek to reform. According to two members of the group of 14 hoping to press for change, all of them are former police officers claiming to be themselves victims of pervasive corruption. Their plight underscores how hard it is to combat patronage and graft in China, and how easy it was for insiders to fall from grace, said Hu Xingdou, a professor at Beijing Institute of Technology. “Anyone can fall into a disadvantaged group from an advantaged group,” he added. 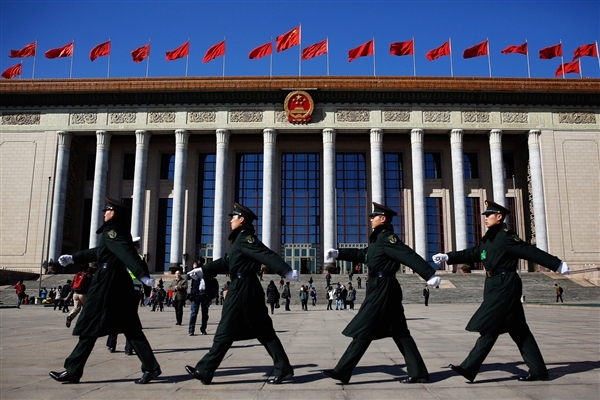 The crackdown on police petitioners came after China’s new leader Xi Jinping declared war on corruption, staking his name to promises that he would root out graft that infests everything from kindergarten admissions to the highest levels of government. He has called for anti-corruption campaigns ranging from banning luxury banquets to prohibiting floral displays and red carpet treatment for the official delegations. According to He, he and the other former police officers from around the country were first rounded up on Feb. 24 as they ate together in a restaurant in Beijing. After 24 hours, three of the petitioners were taken from the detention facility with officials from their home provinces, He said. The rest “escaped,” he said. Police officials contacted by NBC News denied any knowledge of a raid involving former officers. He says he had worked in a county investigation unit in China’s central Henan province until 2002 when he refused to give false evidence in a trial involving local officials. He was sentenced to a year in prison on charges of corruption, He says. Senior officials in Henan told him that his case lacked the proper evidence and promised a new investigation, He says. A decade after He lost his job and nothing had been done about the case. Both of the police officers NBC News interviewed said they had traveled to Beijing to protest corruption within the judicial system, and hoped to present an open letter asking the delegates of the NPC to address the issue. The NPC, made up of nearly 3,000 candidates is vested with lawmaking powers. In reality, it has acted mainly as a rubber stamp for the ruling Communist Party decisions. Over time, however, votes on measures or candidates nominated by the party have stopped being unanimous, signaling growing diversity if not the emergence of an opposition. Petitioners come from all over the country seeking redress for wrongs. Tian Lan says she was once an award-winning senior police officer. After exposing a corruption scandal among local police in Northern Hebei province in 2002, Tian says she was jailed and tortured for a year. A Guangping court in Hebei charged Tian with six crimes including passing on states secrets, but the court failed to present evidence. Since then Tian says she has been a petitioner. She says that to prevent her from petitioning, the local government has refused to renew her national identity card, which she needs to apply for a new job. 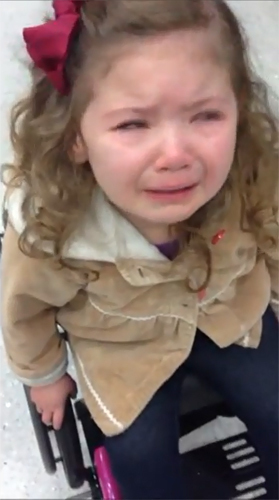 Sometimes Tian has had to beg for food, she says. “If people like me, who are inside the system, are mistreated like this, can you imagine how average citizens are treated?” Tian asked in tears. Tian and He are not unique. In the vast central city of Chonqqing, over 1,000 policemen, were recently given back their jobs as redress for mistreatment suffered at the hands of notoriously heavy-handed deposed police chief Wang Lijun. Wang has since been charged with crimes of abuse power for his role in a scandal that brought down charismatic Chongqing party boss Bo Xilai. Before their arrest Tian and He told NBC they knew they might be detained before their demonstration. — Texas, which receives 1/3 of state revenue from the federal government and has many dependent retirees, is considering a “Self Sufficiency Act” to keep goods and services flowing. — Virginia is authorizing a commission to study the use of gold and silver currency. — Utah has already authorized the use of gold and silver money. — Wyoming is considering an alternative currency in the event the US dollar becomes useless. — Other states have included in their disaster preparedness plans various forms of replacements for federal money in the event of a political or economic meltdown. There are serious legal and/or constitutional issues involved in making one’s own money. The Constitution originally only authorized states to create gold and silver coins as money (maybe because the Revolution was financed with what became worthless, un-backed, paper “continentals”). Article I, Section 10, says, “No State shall … emit Bills of Credit ….” (paper intended to circulate as money but not redeemable in gold and silver). Another part of the same Article reads, “No State shall … make any Thing but gold and silver Coin a Tender in Payment of Debts …” We soon began to print gold-backed dollars to augment our gold and silver coins. Legal tender laws later allowed unredeemable paper to circulate as money. 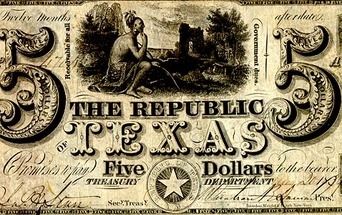 The first dollar notes were printed in 1792 but by 1862 we switched to fiat dollars to finance the Civil War. Since then, the U.S. has returned to gold-based money several times only to abandon it in favor of paper notes during every major war. Before standardized bank note “dollars,” there were many privately issued kinds of paper money. Lightweight, portable, standardized U.S. dollars came to predominate despite resistance. Madison and the other framers of the Constitution were deeply concerned not with states’ independent currencies but with the threat of un-backed notes that they had seen used to enrich despots and ravage economies elsewhere. The unfortunate dependency on ever increasing rates of return in our pensions, investment portfolios, and in credit-financed government handouts has made our thirst for more and more inflation insatiable. As the ruler elite came to realize, this could not be sustained forever. But instead of acting to stem the flood of red ink, our Congress and several presidencies took the cowardly way out and sacked the Treasury to buy favor and enrich their cronies. Executive Order 6102, enacted during the Depression, aimed to limit private gold ownership to prevent hoarding. It has since been abused by the most notorious limiter of metal as money, Richard Nixon, who enacted the latest decoupling of dollars from gold in order to finance war and curb the drain of gold from the U.S. by speculators. Inflation becomes real against the fixed measuring stick of bullion. Unlike the times when coins were part of everyday commerce a modern 2.3 gram dime made of gold would today have a value of $150. Easy to buy a cart of groceries but you’d need a coin the size of a pinhead if you wanted to just grab a gallon of milk. At today’s price the U.S. owns about 2 cents of gold for every dollar in circulation. This, some states feel, leaves us very vulnerable to a precipitous drop in the value of our paper money. Ignoring abstract currency reserve considerations and other assets contributing to U.S.’ solvency this implies no real-world floor of support for the dollar until it reaches a devaluation of 1/50 its current buying power ($100 for a loaf of bread). So in the event of a global loss of faith in dollars, a back-up system makes sense. But with all of these limits on state and private issuance of money, how are they getting away with these emergency acts? Most of the state measures set up “studies” or “commissions” or “emergency plans,” so no unlawful issuance of money will actually take place until the emergency kicks in. Utah’s law limits the use of gold and silver as currency to federally minted coins but importantly they can be exchanged at their intrinsic value rather than their face value. They plan to follow up with a law allowing foreign coins to be treated similarly, possibly paving the way for acceptance of coins minted by other states? As Ron Paul famously pointed out in the 2012 debates, you could buy a gallon of gas for one silver dime ($4.00 then, now worth $5.00 apiece at bullion price). In Britain, pound coins are used for many larger purchases. It’s not that impractical to trade in metal money especially when the paper alternative offers no way to know from day to determine its worth. My Argentine friends tell stories of how shopkeepers would add zeros to the numbers on the money with felt tip pens to keep up with government proclamations. The threat of severe inflation or hyperinflation is real and in the opinion of many prestigious economists inevitable. If a state’s seismologist gave a warning of a 50%-60% likelihood of an imminent earthquake or tsunami the state would be remiss (and liable) if they failed to create emergency preparations. It appears that the Constitution trumps some of the later Tender Acts. As a practical matter, the preparation of a money system based on scrip, coin, vouchers, or even a state currency has many precedents. The “state currencies movement” is not a form of protest like the secession movements that popped up following the recent election. It is a wise protection of the states’ citizenry against having their economy reduced to a Stone Age barter system if the federal system fails. 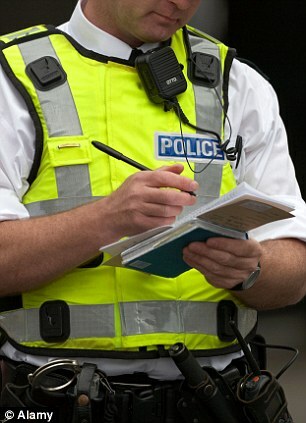 Police are set to be given new powers to seize confidential material from journalists. In a worrying blow to Press freedom, the changes may also mean journalists will be forced to identify whistleblowers to the police. Critics said the Home Office proposals, which follow recommendations made by Lord Justice Leveson, would undermine investigative journalism and free speech. It is feared that the changes will remove legal protections for anyone who releases material to reporters unless journalists can show their source did not breach confidentiality or act illegally. The computer disc that contained the details of how MPs had been rampantly fiddling their expenses was technically stolen by a Westminster employee. Padraig Reidy, of Index on Censorship, said: ‘These measures, if implemented, could have a real effect on journalism, free speech and the entire climate of freedom in the UK. Currently, journalists have protection under the Police and Criminal Evidence Act (PACE) from disclosing material to the police, even if it had been obtained by a source acting in breach of confidence or unlawfully. But during the Leveson inquiry, the police argued those protections should be removed, and the judge agreed. It raises the prospect that someone who uncovers wrongdoing will not come forward if they risk being named to the police. In a further attack on PACE, Lord Leveson suggested it could be made easier for the police to seize items belonging to journalists which may be linked to criminality. Currently a judge can approve an order forcing media groups to hand over information but, crucially, detectives must first show they have tried to get the material by other means. In its response to the Leveson inquiry published on Wednesday, the Home Office accepted his recommendations on reforms to the Act. But legal experts have warned the changes could undermine long-standing protections from the state. Gavin Millar QC, an expert in media law, told the Guardian: ‘These amendments would make it much easier for the police to get orders requiring production of journalistic material. The police would not even have to try to get the evidence in other ways. ‘Journalists will only be able to claim confidentiality by testifying that the source was free to give them the material. Lord Justice Leveson warned the protections under PACE may have been abused to resist investigators during the phone hacking inquiry. He called for journalists to respect the Act and not abuse it by ‘invoking it to cover up that which cannot be justified’. Yesterday a 51-year-old police officer was arrested by Scotland Yard for allegedly leaking information to a newspaper, even though no money is thought to have changed hands. The unnamed officer was arrested at 6am at his Wiltshire home on suspicion of misconduct in public office by officers from Operation Elveden. His is the 107th arrest in connection with the multimillion-pound inquiries into phone and computer hacking and illegal payments to public officials. 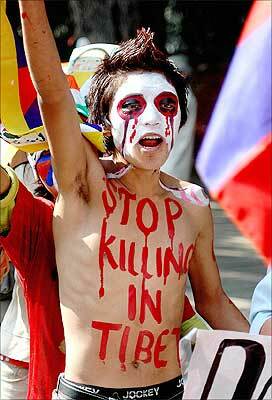 DHARAMSHALA: Exiled Tibetans would mark the centenary of the proclamation of their independence on February 13, 1913 with online campaigns and street vigils across the world. Tibetans says 13th Dalai Lama’s proclamation of independence a century ago undermines China’s claims that Tibet was always its part. They are busy painting placards and posters describing Chinese Manchu dynasty’s invasion of Tibet in 1909 that had prompted the 13th Dalai Lama to escape to India. A breakaway Scotland would be a “new state” under international law and have to renegotiate membership of the European Union and the United Nations, according to legal advice obtained by the Government. The monumental challenges facing a newly independent Scotland are disclosed in a 57-page dossier published today that represents London’s opening shot against separation. The paper claims that Scottish ministers would need to wade through 14,000 separate treaties that have been signed by the United Kingdom, and apply afresh to join international bodies. If the people of Scotland vote to leave the UK in 2016, their country would have a similar legal status to South Sudan, which became the world’s newest country when it obtained independence from Sudan in 2011, the report indicates. The legal advice on disentangling the 305-year-old Act of Union is published days after Alex Salmond, the Scottish First Minister, set out plans to declare independence in March 2016 in the event of a vote in autumn 2014 in favour of separation. According to the legal advice commissioned by Whitehall, the “overwhelming weight” of precedence points to Scotland being treated as a new state rather than a “continuing state”. That would mean Scotland having to apply afresh for membership of a host of international bodies. An independent Scotland’s potential status within the EU has proved highly controversial. The SNP insists it would automatically join the bloc, while critics have claimed it would have to reapply for membership, which could well be blocked. The new legal advice was drawn up by Professor James Crawford, of Cambridge University, and Professor Alan Boyle, of Edinburgh University, who are experts on international law. “If Scotland became independent, only the remainder of the UK would automatically continue to exercise the same rights, obligations and powers under international law as the UK currently does,” they say. The paper is the first product of a drive by Whitehall to examine key policy areas to make the case to stay in the Union . Others include currency policy, taxation, welfare spending, defence and North Sea oil revenues. But Scotland’s Deputy First Minister, Nicola Sturgeon, retorted: “This is an act of breath-taking arrogance by this Tory-led UK Government, which completely shatters their claim that Scotland is an equal partner within the existing UK – it will only serve to boost support for an independent Scotland.” She said other eminent legal authorities had reached very different views about Scotland’s status if it votes to pull out of the UK. International Would Scotland open embassies abroad? Could it join the European Union and other international institutions immediately? Welfare How would it cope with the demands of a rapidly ageing population? Business and infrastructure What would be the effect on major firms operating across the UK? How would Scotland fund large transport projects? Economic performance Would Scotland’s economy fare better inside or outside the UK? Would it lose from having direct access to the rest of the UK for its goods? As a small country, would it be more vulnerable to economic turmoil globally? Currency What currency would an independent Scotland adopt? Debt and borrowing How much of the UK debt would Scotland inherit? Tax and spending How would Scotland maintain its level of services outside the UK? Banking What would happen to its financial services if Scotland went it alone? What would be the impact on Scottish-based life insurers and mortgage providers who do most of their business south of the border? Defence What would Scotland’s armed forces look like? What would happen to UK military bases, equipment and manpower in Scotland – and to Faslane, home to Britain’s nuclear deterrent? 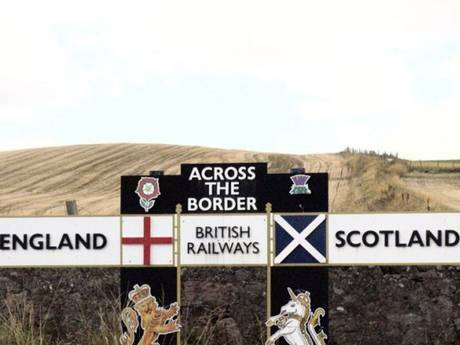 Borders Would border checks be carried out between Scotland and England? Would there be a Scottish passport? Oil revenues How much of the oil money would flow to Edinburgh? Would Scotland be able to maintain services as revenues declined? Culture and heritage What impact would Scottish independence have on the shared history of the UK? Would the Queen remain head of state? What would happen to the BBC?